For the serious vintage music listener there is no turntable out there I know of with the speed flexibility to accommodate for the many different types of records made over time. 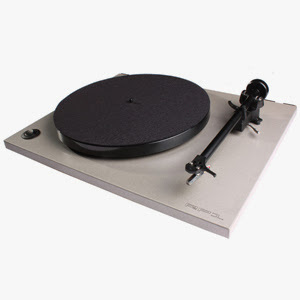 Multi-speed turntable adjustable from 16-90 rpm with +/- 15% pitch adjust; DC motor; hinged dust cover, 17” transcription playback with ability to play vertical cut discs; removable spindle for eccentric records; 12 fixed speeds (16.67, 22.5, 33.33, 39.13, 45, 68.5, 71.29, 76.59, 78.26, 80, 85, 90 rpm); belt drive; Delrin platter (3.75 pounds); rated wow & flutter .09% max; four included Vibrapod feet; strobe disc; 25 pounds; 6.5” H x 18.5” W x 15” D; one-year warranty. Tonearm: S-shaped aluminum and magnesium; 0-3 grams tracking force; 11 Hz arm resonance; 23 grams effective arm mass; removable headshell. Bowers & Wilkins CM9 loudspeakers, Bowers & Wilkins Signature 8NT loudspeakers, Bowers & Wilkins 804 Diamond Speakers, Meridian 568.2MM Preamplifier, McIntosh MC402 Amplifier, Sunfire Cinema Grand Amplifier, Krell S-300i Integrated Amplifier, Sonneteer Sedley Phono Preamplifier, Benz L2 and Grado 78E phono cartridge (mono 78), Furman Elite 15i Power Conditioner, PS Audio Power Plant Premier, Audioquest, Canare, DeCorp cables, McIntosh MCD301 CD Player, Tascam US-122 MKII external sound mixer, Dell Studio 1537 Laptop, Audacity 1.3 recording software. In the early days of my retail career (in the 90s) I would occasionally have customers interested in variable speed turntables that could play 78 rpm records. In those days I remember a leaflet that Esoteric put out listing their various Technics modded 78 rpm players. It’s only fitting that I’ve finally received one of their players for review. This, however, is not simply an upgraded Technics. When I first pulled the Rondine out of the box I thought that the table looked a little bit homebrewed. The arm looks like one manufactured from Jelco (similar to the Sumiko MMT and the arms from Audioquest). The control box is metal and mounted underneath the plinth. The screws that protrude from it will scratch the platform surface unless the supplied Vibrapod feet are utilized. These just sit under the pillars at each corner of the table, so placement is a bit delicate as there is no way to level the table. The plinth is fairly heavy and vinyl-covered, but the cutout for the motor is not fully hidden by the platter. The spindle comes off which seems like an advantage, but it would occasionally also come off when I just lifted the record off the platter. The headshell is detachable, which is advantageous for those who will be using a variety of cartridges. Set up and alignment was no more difficult than the last few turntables I’ve used. There is a VTA adjustment, but I didn’t need it as I was right on the money with the L2 (although it is a little hard to get at). Azimuth is adjusted right on the headshell itself by a small setscrew. The dust cover was a pain to get on as the hinges require prying open (with a flathead screwdriver) while sliding the plastic lid into them. The lid is rounded on the one side, but whether I put this part in front or back it did not line up with the front edge of the table. There are some rubber pads on the plinth up front to cushion the lid as it comes down. I’m not a big fan of dust covers, but leaving this one off meant having to look at three ugly hinges on the back. Luckily, you can just unscrew them and this will clean it up. I suppose you can remove the rubber pads in the front corners as well. The control box is very convenient, but some users might prefer having it separate from the table. There is no need for a mat—the record goes right on the playing surface. Startup is fast (like a direct drive table). The rough speed settings are on a stepped, rotary switch. If the speed needs to be adjusted from these rough settings there is a switch that engages a smooth rotary control that can increase or decrease the speed by 15%. In addition, each fixed speed has an adjustment screw in the back of the control box for fine tuning. I checked speed at 33 1/3 and 45 and I didn’t feel the need to bother tweaking (as the speed was almost right on). The manual is well-written and easy to follow even for the novice. There is a troubleshooting section for any that get lost along the way. Although there is standardization when it comes to playing back modern records using an RIAA curve, older records use a variety of different EQ curves for correct playback. There are several options for phonograph preamplifiers that will accommodate older recordings (and new as well). has two: KAB Electro Acoustics the VSP MK2 at $600 that only accepts MM cartridges and the EQS MK12 (at $1625)—a more full-featured model (10 curves + RIAA) with better specifications, two turntable connections, ability to use MC cartridges, adjustable level output and more. Another offering is by Vadlyd ($1760) and available here This piece looks like a good higher-end option as well. Esoteric themselves offer the Re-Equalizer II at $350. If you want to go all out there is always the LOC Analog Legacy at $10000. Lastly, there is the Graham Slee Revelation at $1600 which offers switching capabilities as well. Nauck’s Vintage Records offers a book that lists the proper EQ for many older recordings. The type of stylus used for older records is also different from those typically used for 45 and 33 1/3 rpm records. Some of the popular ones are from Audio Technica, Grado, Shure and Stanton. Modern records use needles with tips that typically measure .7 mil (mil- 1000th of an inch) around for conical or spherical tips (and represent the longer length for elliptical styli). Due to the fact that older discs have larger grooves, these styli are not a good choice for 78 and older records. Choices are often 2.5 (transcriptions) – 3.0 mil (30s to 50s discs and Edison) although 3.5, 4.0 (raw aluminum) and even some bigger styli exist. 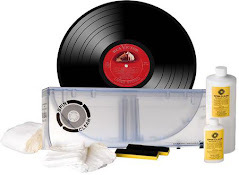 Many companies offer a kit that includes a variety of sizes to accommodate different vintages or condition of the records. Tracking force can typically be higher than with LPs, so caution should be taken if switching back and forth. As is typical of my latest phono reviews, I did some comparisons by recording tracks to a computer and then burning a CD for direct comparison on playback (with the same cartridge and phono preamp as reference). 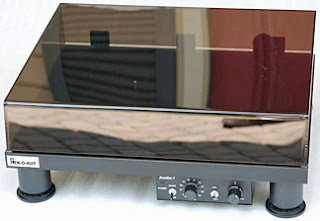 In this case, I compared the Rondine 3 with a Linn LP12 (with a Valhalla power supply). I have to say that there wasn’t a huge difference with the recordings I listened with (a mix of jazz, rock, vocal, etc.) The Linn combination sounded slightly mellower (due to the cartridge choice). The Rek-o-Kut had a bit more top end by comparison and bass wasn’t as good, but it was close. The fact that it could keep up with an LP12 (performance-wise) is saying a lot for the Esoteric and makes me think that unless the listener is looking for a much better LP player, the Rondine 3 is “good enough” for both newer and older records. I spent hours listening to various records with this table and have nothing negative to report. My wife liked the fact that she could easily switch between 33 1/3 and 45 speeds with the turn of a knob (and that there weren’t a bunch of separate boxes to make this occur). Records sounded good and competitive with tables in this price range. To get up to the next level I’d say double the price is where you’d be at and that is not figuring in the multi-speed capability. Years ago I had given away the old 78 records I’d had for lack of the ability to play them. There are a few factors that need to be considered for playback. 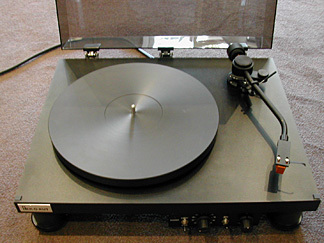 First, there is the need for the specialized phono preamp and cartridge (as mentioned above). Next, you’ll need to realize that due to the speed increase, you typically get a single song per side. For classical listening this is going to be a huge issue. Typically, popular music comes in little “books” that house four or more records for an entire album (figuring both sides are in use). If you aren’t big on record flipping then you will soon tire from constantly having to get up. People often have the misconception about the sound of these records having only listened to them on old victrolas or what those in the industry (un)affectionately call “close n’ plays” (i.e. all-in-one devices that accommodate 78s and have speakers built-in). The truth is: On a good system these records can incredibly lifelike and that is even without the proper equalization (unfortunately I did not have a proper phono preamp during this review). This meant a boost in highs and a cut in the lows. Vocals came through beautifully and it’s easy to get immersed in the performance. With people giving away these records by the bunch in pawn shops and swap meets, fans of “older” music might want to jump in head first. My reservations on the physical appearance aside, the Rondine 3 offers an attractive performance package. The modern record listener can get very good performance with a high-end phono cartridge and for the serious vintage music listener there is no turntable out there I know of with the speed flexibility (and ease of adjustment) to accommodate for the many different types of records made over time. Anyone looking at revitalizing a system with LP playback and needing 78 (or variable speed playback) should give this a turntable a serious look. Highly recommended! NEW YORK, Sept. 29 /PRNewswire/ -- Decca is pleased to announce its first CD release by Grammy-winning superstar, singer-songwriter Bryan Adams. Slated for release on November 16th, Bare Bones is an inspired collection of minimally arranged hits culled from Adams' impressive body of work spanning three decades. Recorded in spring of 2010 during his "Bare Bones Tour," the disc captures a raw Adams, featuring only his distinctive voice and guitar, accompanied on select songs by keyboardist Gary Breit, lending a newfound appreciation and perspective to what many consider some of the most beloved songs in pop/rock music. Inspired by his experience recording "MTV's Unplugged" in the 90's, Adams decided to revisit performing his material pared down once again in 2008. With a consistently loyal following on the road, Adams continued playing live shows with these new spare arrangements in 2010, and as an experiment decided to start recording them for a possible record. Comments Adams, "as the tour rolled across the USA and Canada, many people were asking for a recording of the songs as they had just heard in the show. So in response to that, I decided to record a few shows to see if a recording was even interesting… I like the way the songs carry themselves warts and all, bare-boned, without the original arrangements of a full band or an orchestra." He continues, "These recordings only have the voices and handclaps of the fans in the audience and the ambience of the room to lift them." Narrowing down the selections for Bare Bones was a challenging exercise given Adams' expansive catalogue, so he enlisted the assistance of his fans. Chosen by a combination of suggestions received through Twitter and his official website, the final tracklisting reflects a well-balanced mixture of old, rare, familiar and new material. The Canadian-born, Grammy-winning singer-songwriter has sold more than 65 million albums worldwide, garnered 21 top ten hits, earned nominations for three Academy Awards and five Golden Globes, received 18 Juno Awards, an American Music Award and five ASCAP Film and Television Music Awards for Most Performed Song from a Motion Picture (his music has appeared on more than 40 movie soundtracks). Adams was recently honored to perform at the Opening Ceremony of the 2010 Winter Olympics in Vancouver, performing a duet with Nelly Furtado. This past spring, he was the recipient of the Allan Waters Humanitarian Award by the Canadian Academy of Recording Arts and Sciences, a tribute to his fundraising and charitable efforts. A week later he received the prestigious Governor General's Performing Arts Award for Lifetime Achievement. Adams has been awarded the Order of British Columbia and is a companion of the Order of Canada; he has received an award for "Artist of the Decade" and was recently inducted into the Juno Hall of Fame. He also has a star on Canada's Walkway of Fame and recently added his handprint to the Wembley Square of Fame in celebration of his 25th show at the famed stadium. Adams is also an acclaimed photographer and donates his fees to his namesake foundation that funds projects supporting the elderly, victims of wars and natural disasters and other disadvantaged individuals. His work has also been on display with Hear the World presents "Hear the World Ambassadors" – featuring exclusive portraits of renowned personalities from the film, music, and fashion industries. His critically acclaimed exhibit, "Modern Muses," was on display in 2008 at the National Portrait Gallery in London. Adam's outstanding live concerts have established him as one of the world's best rock singers of our time, performing over 120 concerts a year as he works to spread his message of music and environmental awareness to an audience of millions around the globe.